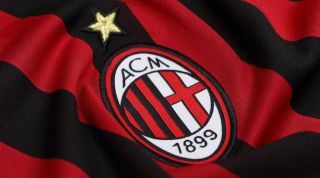 AC Milan are reportedly planning to be busy in the transfer market next year and their midfield is said to still be a priority for the hierarchy. As noted by Sky Sport Italia, the Rossoneri are already set to bring in Lucas Paqueta from Flamengo in January to address their issues in midfield. Coach Gennaro Gattuso continues to struggle with a lack of quality and depth in that department, as evidenced by his ongoing reliance on the likes of Lucas Biglia, Giacomo Bonaventura and Franck Kessie. With the first two out with injury currently, it has certainly tested the other options at his disposal and perhaps asked questions over their ability to compete on multiple fronts. In turn, Calciomercato report that while Aaron Ramsey is being targeted for an arrival next summer when his contract at Arsenal expires, Leandro Paredes is a more immediate solution for January, albeit Zenit are said to value him at around €30m. Adding that duo alongside Paqueta in a matter of six months would certainly add quality and creative class to the Milan midfield, and so it remains to be seen if deals go through as planned and outlined in the report. Meanwhile, the same report also suggests that Milan will look to address another problem in their current squad, and that is the lack of quality depth up front with Gonzalo Higuain and Patrick Cutrone the only options at Gattuso’s disposal. Given the pair have started alongside each other in recent outings, it doesn’t leave a great deal of depth on the bench to try and change a game if necessary, and so Calciomercato add that Zlatan Ibrahimovic and Alexandre Pato are options on the radar to secure a return to the San Siro in the New Year. Given the popularity that both still enjoy with the fans coupled with the quality that they’ve displayed in MLS and China respectively, it could be argued that either could do a job for Gattuso in the second half of next season.